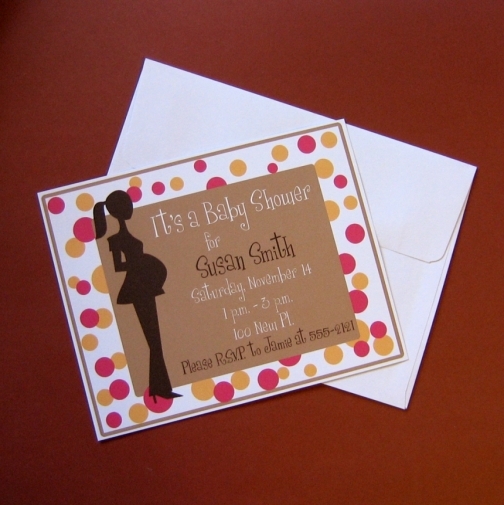 These stylish invitations measure 5"x7" and are printed on delicious 110 lb. card stock. They are flat (do not open like a greeting card) and come with white A7 envelopes. *corresponding stickers, thank you cards, etc. *or to have me mail the invitations for you. These services are available at an extra cost to you. Note: This design is an original by BitsyCreations. ©2008 BitsyCreations It was digitally illustrated from scratch using no clipart or stock images. Item ships from: Greensboro, NC, US. $2.50 USD ($2.00 USD when combined with another item) by USPS. Expedited Rate: $4.60 USD ($4.00 USD when combined with another item) by USPS. $3.00 USD ($2.50 USD when combined with another item) by USPS. Expedited Rate: $4.50 USD ($4.00 USD when combined with another item) by USPS. $4.00 USD ($3.50 USD when combined with another item) by USPS. Expedited Rate: $5.50 USD ($5.00 USD when combined with another item) by USPS. I strive to have satisfied customers, but if there is a problem, please let me know! I will try my best to make sure you're happy. That being said, I DO send drafts/previews of custom work BEFORE printing. Once you give me the "go ahead", I will not give a refund.